After Meerkat took it's app off of the market we all knew that the company had to have some sort of video app to work on next. They video streaming well, after all, it just wasn't enough to beat the competition but it turns out they've had something in the works and available since February. What's interesting is that this app isn't attributed to Meerkat but it has been confirmed that it is definitely one of theirs. 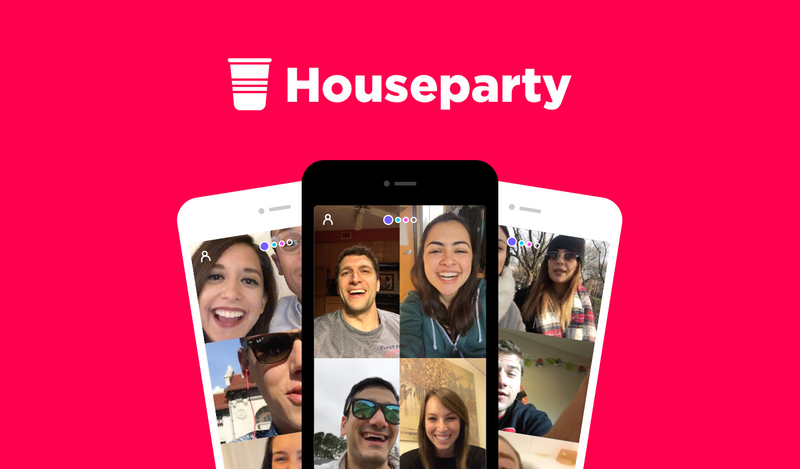 The new app is Houseparty is a video messaging app more like Skype or FaceTime than any other video attempt they've made before. But it isn't just a plain video messaging app. Houseparty is a messaging app that encourages group chat more than anything. As soon as you open the app you're available and your friends can start chatting to you. If you try and talk to a friend and they're already talking with someone then you'll jump into the chat. This suggests that Houseparty should only be used for chats you don't mind becoming public but it does look like it'll be pretty useful for group chatting. It would be easy to give your friends a time to chat on the app and then as soon as someone comes in you can start jumping, then the next people can jump in easily. It's also great for when people are feeling lonely and they don't mind or don't know who to talk to. The idea of Houseparty is that you're willing to talk to anyone who jumps in and that could be pretty fun. It could also be kind of lonely if you're on there and no one is willing to talk to you. Apparently Houseparty is more popular than Meerkat ever was which goes to show that maybe streaming wasn't the area they should have been focused on for so long. It is interesting that it's done so well when basically no one is talking about it. There haven't been announcements or many advertisements or anything. It just sort of popped out and users seem to like it. This is similar to Airtime and funnily enough, we actually heard that Meerkat was working on something new around its release as well. However, Houseparty was actually released before then so you have to wonder if Meerkat is working on something else on the side as well.